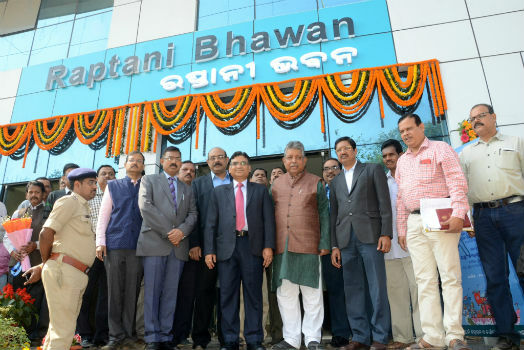 Bhubaneswar: “Odisha may touch export turnover of Rs.1 lakh crore before 2025”, stated Shri Prafulla Samal, Hon’ble Minister, MSME, W&CD & SSEPD while inaugurating the ‘Raptani Bhawan’ at Indradhanu Market, Nayapalli, Bhubaneswar. He added that the State is going to have a New Export Strategy soon, which is being prepared in consultation with FIEO, Govt. of India. With opening and shifting of all export related organisations under a single roof, exporters will be able to get services at a common point, which in turn, will help furthering the growth of exports. 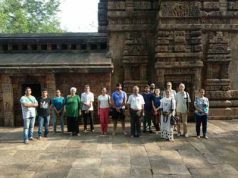 Directorate of EPM, Odisha and Federation of Indian Export Organisation(FIEO), Govt. 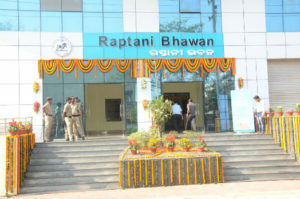 of India have started functioning at the Raptani Bhawan immediately. Marine Products Exports Development Authority (MPEDA) and Office of Director General of Foreign Trade(DGFT) which have already been allotted space by BDA at Raptani Bhawan will start their functioning from the Raptani Bhawan very soon. Speaking on the occasion, Shri L.N. Gupta, ACS, MSME stated that because of the highest growth rate of 114% amongst all the states achieved by Odisha during 2016-17, the Govt. of India has recognised the State as ‘Champion State’. He added that a trend of increase in Odisha export continues, which is reflected in the export turnover of nearly Rs.26,000 crore by November, 2017. 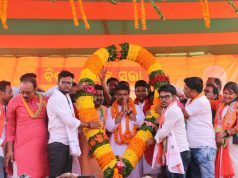 To further boost the export turnover from Odisha, he added that a new export strategy will be in place shortly, which will focus on (a) improvement in standards of quality and products, (b) value addition in traditional exportable products, (c) products and market diversification, (d) downstream and ancillarisation of industries, (e) unleashing the potential of e-commerce and (f) development of eco-tourism in the state. He added that in order to improve the quality of products and services, MSMEs should register themselves under the Zero Effect-Zero Defect (ZEZD) Programme offered by the Quality Council of India. He hoped that with commencement of commercial operations by the Quality Control Laboratory of MPEDA and Testing Laboratory of Export Inspection Agency (EIA), standard and quality of exports would get further improved. Dr. Omkar Rai, Director General, STPI while gracing the occasion, stated that opening of Raptani Bhawan is a landmark decision of Govt. 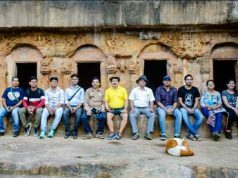 of Odisha, by which needs to exporters can be catered to in a holistic manner. He said that there is a vast potential of IT and ITES services exports from Odisha. Last year, IT & ITES exports from Odisha was of the order of Rs.3,500 crore, which are likely to increase this year. He added that exports of IT & ITES from the state by October, 2017 has been of the order of Rs.2,600 crore. Shri S.K. Jena, Director, EPM gave the welcome address. Amongst others, Director of Industries, Odisha, MD, OSFC, MD, OSIC, President, TiE, Bhubaneswar Chapter, MSM entrepreneurs and exporters attended the event.